Complete the quest line to get the Sturm Exotic Hand Cannon in Destiny 2. 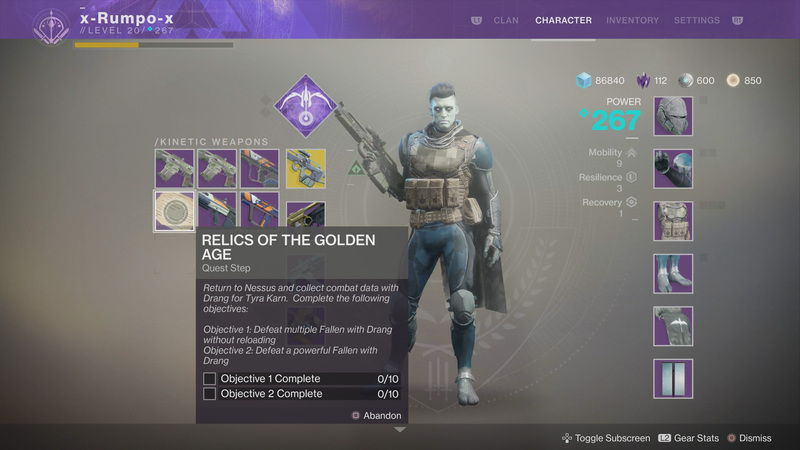 While most Exotic gear in Destiny 2 will be obtained through random drops, some of this high-end loot can be snatched up by following certain quest lines. In the case of the Sturm Exotic Hand Cannon, it’s the latter, but players are in for a bit of a grind to knock this one out. 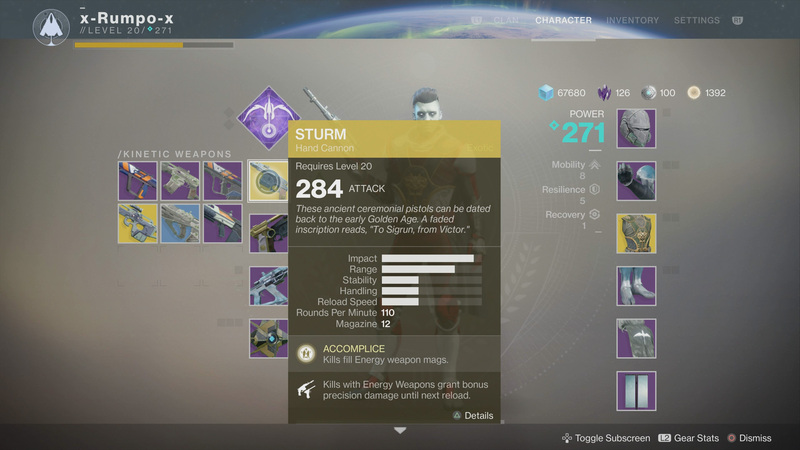 To get the Sturm Exotic Hand Cannon players must first complete the main story missions. This will unlock World quests. World quests feature a blue marker with a white crown symbol in the middle. Head to Nessus and look for one called My Captain. If you don’t see it, complete whatever World quests you do have until it appears. Head back to Failsafe and speak to her after My Captain is complete. You’ll get the Drang Legendary Sidearm for completing My Captain, and then she’ll send you back to the Cryptarch Rahool with a weapon relic from the Golden Age. 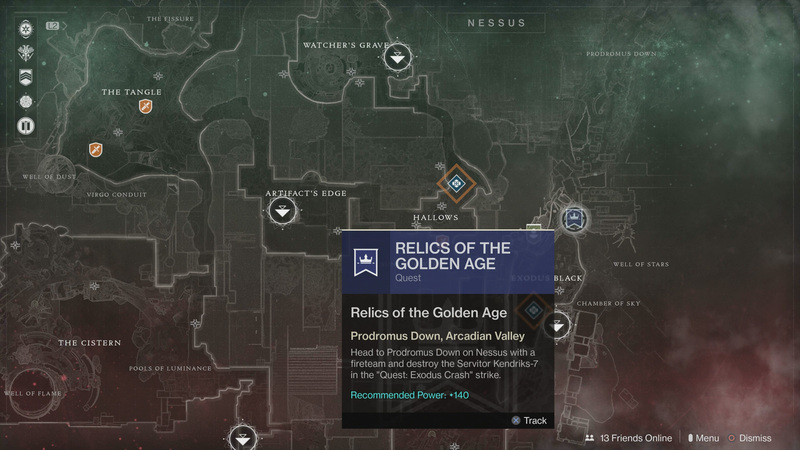 Speaking to Master Rahool will start you on the Relics of the Golden Age quest. The first step is to decrypt five Legendary Engrams and one Exotic Engram. At this point in the game, Legendary Engrams are easy to come by. You can grind Strikes, level up the Faction for the four NPCs on the game’s various planets, take part in Public Events, and much more. It’s the Exotic Engram that is going to be more difficult. There aren’t a lot of activities that give you a good chance of getting one, but early game consensus seems to be that Heroic Public Events are the way to go. This proved true for me, although I snagged an Exotic Engram from a regular Public Event, so grind both of those until you get one. When you do, decrypt it and you’ll be moving on to the next quest step. The next order of business is speaking with Tyra Karn at the Farm. She’s going to get you to complete some silly tasks to get your gun. Neither of them are difficult, although one of them can be time consuming if you don’t know where to look. Killing multiple Fallen without reloading is easy. 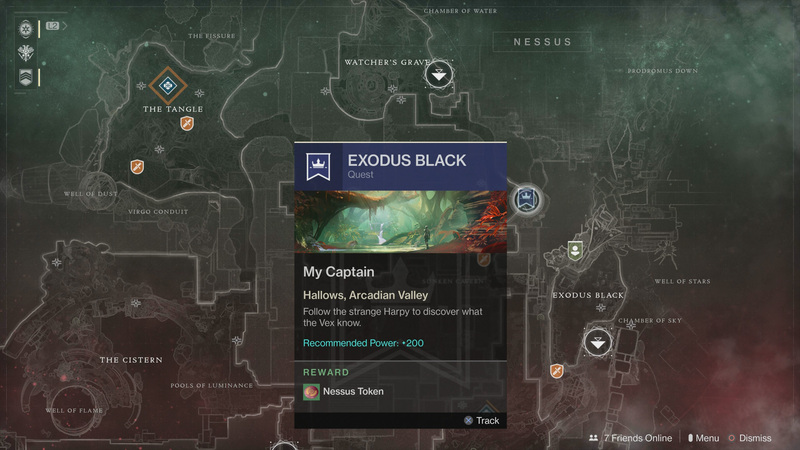 Head to Nessus and spawn in at the Exodus Black landing zone. There will be low level Fallen there. Kill at least two without reloading and you’ve got one of the 10 you need. Keep grinding. The Powerful Fallen is more difficult. There are two kinds of yellow bar enemies. The bright bars that count, and then slightly darker yellow bars that don’t. For example, the big Servitor from the Ether Resupply Public Event counts, while the smaller Transport Servitors do not. 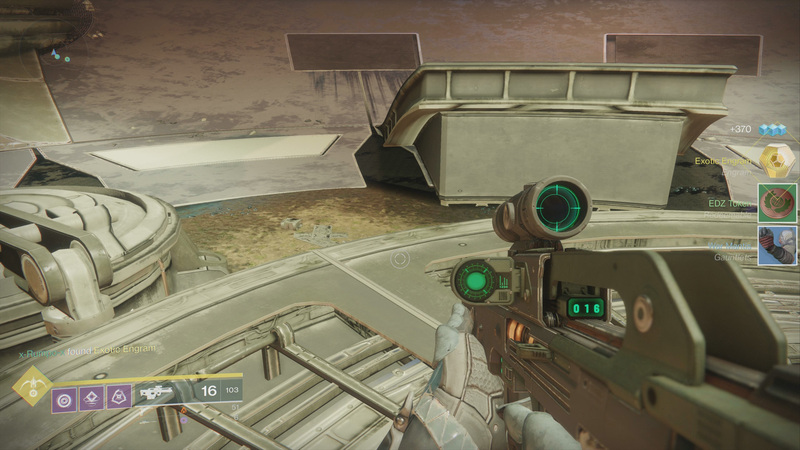 You can also head to the Glade of Echos region of Nessus and head into the Lost Sector there. You’ll find a yellow bar Servitor that will count. Kill it, then leave the area for a few minutes and come back. You could do this 10 times if you are having no luck finding the Powerful Fallen that you seek. Head back to Tyra Karn at the Farm and speak with her again. She’s sending you back to Exodus Black on Nessus. This time you’ll be seeking out Kendriks-7, a Servitor that appears in a special version of the Exodus Crash Strike. The quest should be marked on your map. There is no matchmaking for this Strike, so bring a fireteam with you. If you don’t have one, good players are able to get through on their own without much trouble. Just play the Strike to the point where you kill the Fallen Walker. Head inside and when you see the dark room where you climb, take cover behind a box at the entrance. Shoot the Kendriks-7 Servitor from a distance until it’s destroyed. You can now exit the Strike and head back to Tyra Karn at the Farm. She’ll give you the Sturm Exotic Hand Cannon. For more information on everything related to Destiny 2, head to the Shacknews Destiny 2 complete strategy guide, filled with everything you need to be the best Guardian you can be.